What is RJ-45 and RJ-11? 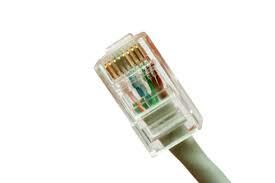 RJ-45, abbreviation for Registered Jack-45. It is a type of connector commonly used for Ethernet networking. It looks similar to a telephone jack, but is slightly wider. It is an eight-wire connector used commonly to connect computers onto a local-area networks (LAN). Since Ethernet cables have an RJ45 connector on each end, Ethernet cables are sometimes also called RJ45 cables. RJ-11, abbreviation for Registered Jack-11, is a four- or six-wire connector used primarily to connect telephone equipment. 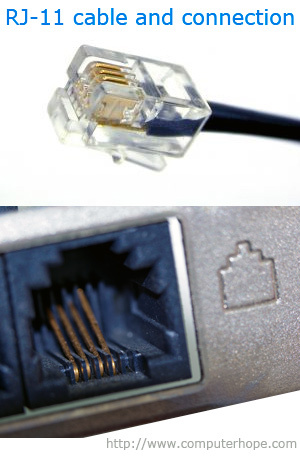 RJ-11 connectors are also used to connect some types of local-area networks (LANs), although RJ-45 connectors are more common.